Check out if PATH is in the Top 100 NGOs 2013 Edition! Advancing technologies to address global health challenges. Despite a seismic shift in recent years, much of the NGO sector remains wary of the influence and application of market-based thinking and models to address social problems. This makes it all the more remarkable then, that the Seattle-based PATH (Program for Appropriate Technology in Health) has been engaging in innovative public-private partnerships guided by the free-market concept of user-driven design for almost 30 years. Founded in the mid-1970s as a family planning organization bringing together public health agencies and private industry to make sure couples around the world had access to condoms, birth control pills, intrauterine devices and other modern forms of pregnancy prevention, PATH has expanded its focus in the ensuing years to include an array of health technologies and a global reach touching 70 countries. At the heart of the organization’s approach is a commitment to seeking out new, creative and affordable technologies, collaborating with dynamic public and private sector partners, and delivering sustainable, culturally-relevant solutions to address long-standing cycles of poor health globally. In practice, this encompasses a diverse focus on emerging and epidemic diseases like HIV/AIDS, tuberculosis and malaria, developing health technologies designed for low-resource settings, working to improve child and maternal health (including vaccines), and pursuing health equity for women. PATH has adapted, developed, or co-developed more than 85 technologies designed to improve the health and lives of people in developing countries. Amongst others, these include: vaccine vial monitors that detect when temperature-sensitive vaccines have been exposed to heat; single-use, disposable syringes that prevent needle re-use; ‘ultra-rice’ technology that uses manufactured, rice-like grains fortified with micro-nutrients to alleviate malnutrition; and a pre-filled injection device that ensures the correct amounts of vaccines or drugs are administered. Reflecting the organization’s deep impact, several billion of these products are presently in use worldwide. Most recently, PATH introduced the ‘MenAfriVac’ vaccine in partnership with the World Health Organization. 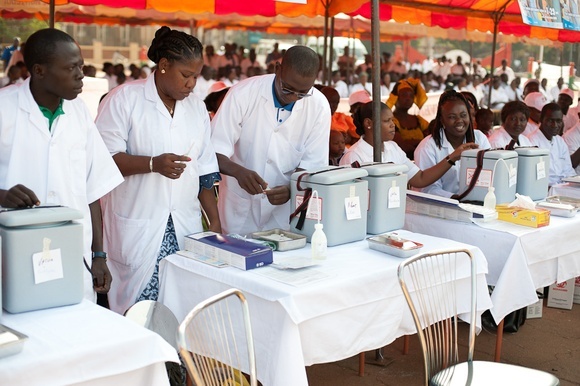 As a result, more than 20 million people in Burkina Faso, Mali, and Niger were vaccinated against meningitis A, which has ravaged sub-Saharan Africa for more than a century. Having successfully launched an ‘innovation funding’ vehicle – the ‘Catalyst Fund’ – in 2005, which gives the organization more freedom and flexibility to test cutting-edge ideas and experiment with small-scale pilot projects, PATH is well-positioned to remain an important driving force for innovation in global health for years to come.